There are some things in life that make me smile. Buying new lipsticks is one of them. I purchased these items a long time ago, but I’m finally getting to make this post and share my purchases with you guys. I did not take individual pictures of the yes to cucumbers hypoallergenic facial towelettes or the milani eye tech liquid liner, but I’d give them 4 and 3 stars respectively. 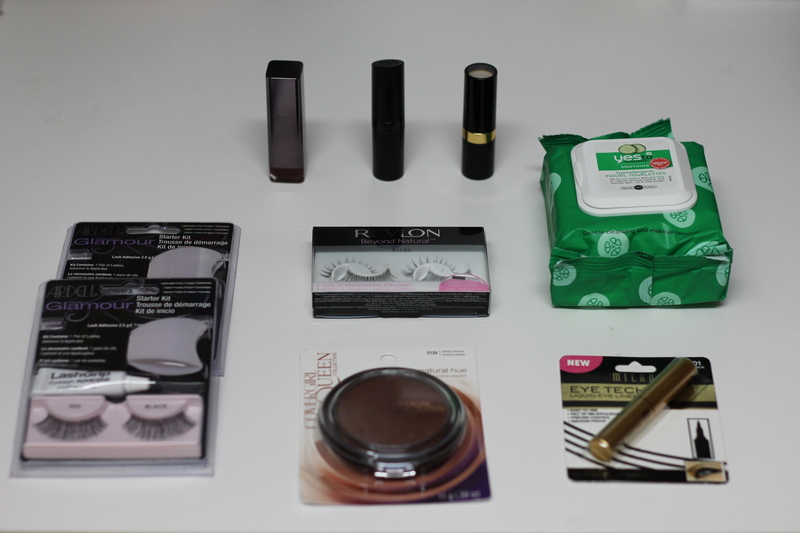 The towelettes are very soft and take off makeup really well. I sometimes use them when I’m too lazy to wash my face and they get the job done! The milani liner is not the best liner so I wouldn’t recommend this if you are experienced in applying liquid liner because the colour payoff is not the best. However, if you’re a newbie like me, then this is a nice start. I believe the key to using this product is to hold the applicator to the side, that way you can actually get the product onto your lid. Otherwise, it does not work. 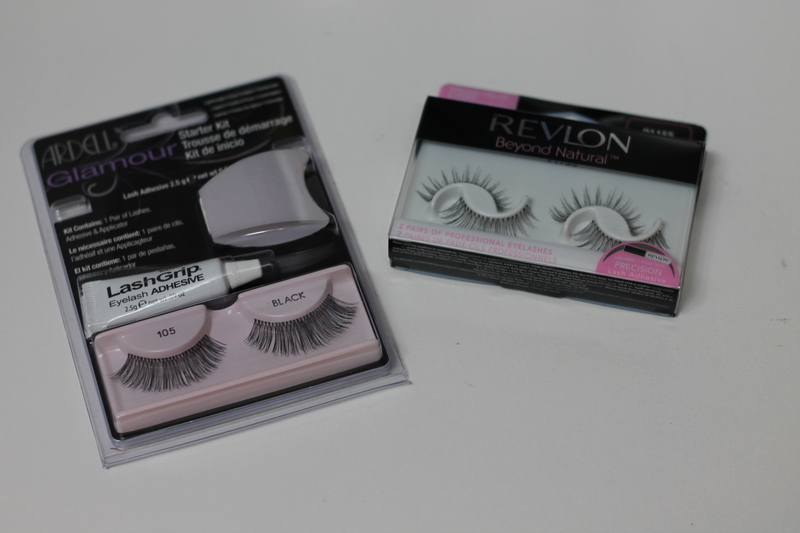 The photo above features two of my favourite false eyelashes: Ardell Lashes in 105 (left) and Revlon Beyond Natural Professional Lashes (right). I wear the Ardell lashes when I want a more dramatic look, that is, when I’m going to the club or to a party 🙂 (I wore them in this video), and I wear the Revlon lashes for an everyday look because they look very natural (I wore them in this video). 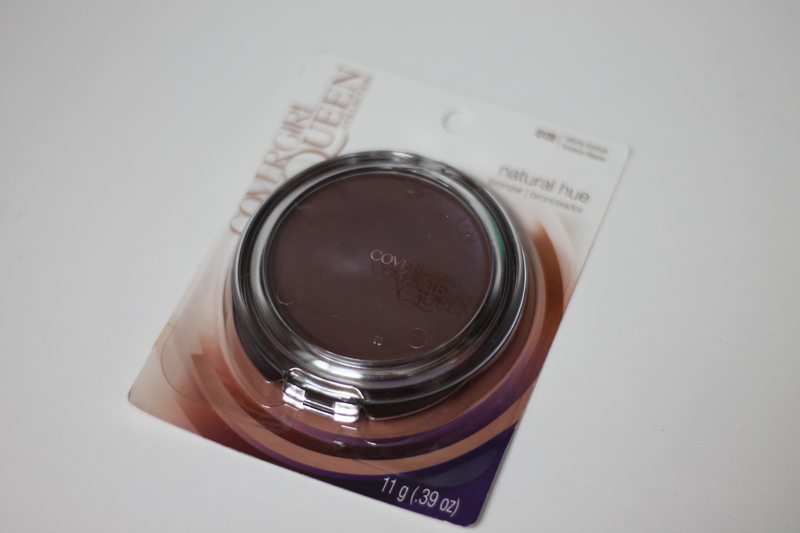 I decided to give the CoverGirl Queen Collection Natural Hue Minerals Bronzer a try after hearing one of my favorite makeup YouTubers, lilpumpkinpie05, rave about it. The colour I got was “ebony bronze” and I use it to contour my cheeks, jaw and forehead (watch this video at 3:06 to see what I mean). Now for the fun stuff! The lipsticks I purchased were Rimmel Lasting Finish by Kate in colour number 04, Revlon Super Lustrous Creme Lipstick in “Berry Haute” , and CoverGirl Lip Perfection Lipstick in “Euphoria”. I love all of these lipsticks; they’re already apart of my favourite lipstick collection because I don’t really but lipsticks unless I’ve done my research on them. They go on really easily and colour payoff is great, especially for the price! 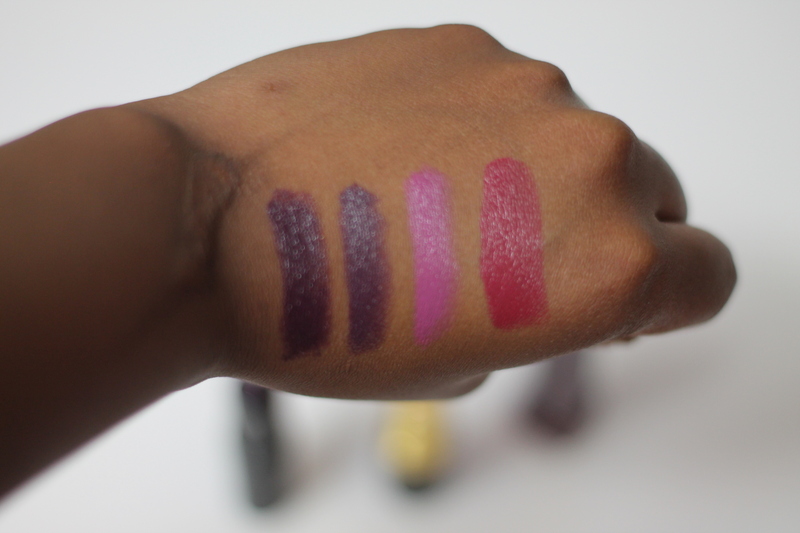 Below are some swatches; The first one is not photo’d above: it’s Revlon Super Lustrous Creme Lipstick in “Va va violet”. To the right of that is the rimmel kate 04 followed by berry haute and euphoria (I have on euphoria in this video). As you can see “va va violet” is pretty similar to “rimmel kate 04” (which is also similar to the Azalia Banks MAC lipstick “Yung Rapunzel”). These are all dupes for each other so there’s no need to spend extra money if it’s not necessary (These were on sale when I bought them so that’s my excuse 🙂 ). Oh! 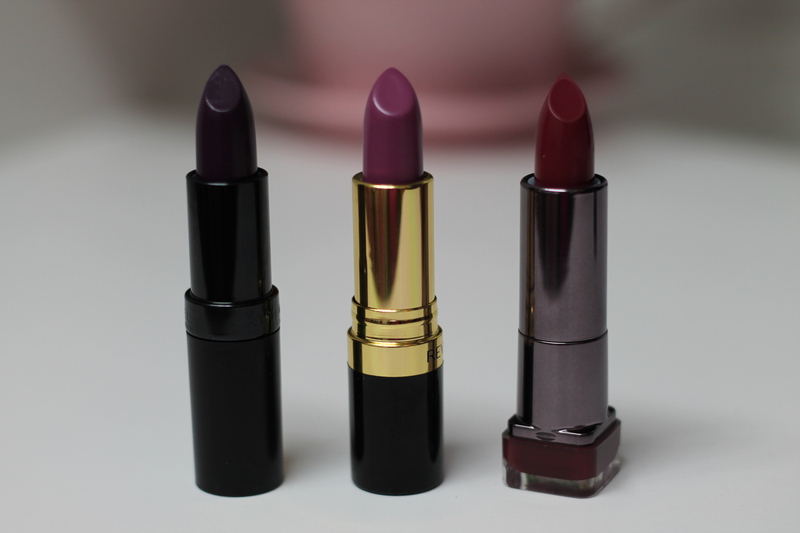 Berry Haute is a bit of a dupe for MAC’s “Up the Amp”.